Tristan Shone, the one-man industrial doom strategist responsible for the crushing sounds ofAUTHOR & PUNISHER, will drag his iron and steel overseas for a near-three-week live takeover next month. Set to commence on January 16th in Rouen, France, Shone’s latest expedition will make its way through ten countries, coming to a close on February 4th in Milan, Italy. The European tour follows Shone’s successful two-leg North American Fall exhibition with special guests, Muscle And Marrow. AUTHOR & PUNISHER continues to astound ears with the mechanical deviance of latest full-lengthMelk En Honing, released earlier this year via Housecore Records. 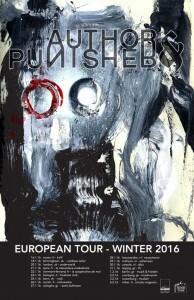 Produced by label founder, Philip H. Anselmo (Pantera, Down, Superjoint Ritual et al), with Melk En Honing, Shone has incorporated various drone machinery, multiple physical rhythm machines, some synth and the new electromechanical masks that began to appear in AUTHOR & PUNISHER performances across the US and Europe in 2014. After a solid year of heavy touring and festival appearances, the goal withMelk En Honing was to capture the live dissonant power of the true, devouring AUTHOR & PUNISHER experience. The record continues to reap critical accolades from fans and critics globally and was recently listed among Decibel Magazine’s Top 40 Albums Of 2015. After leaving a career as mechanical engineer in Boston to focus on art and sculpture, Tristan Shone, the creator and sole artist behind AUTHOR & PUNISHER, moved west to pursue his MFA in Southern California. In the metal and machine shops of University of California, San Diego, Shone forged a relationship with design, sound and fabrication that ultimately yielded AUTHOR & PUNISHER‘s first music and mapped the journey away from traditional instrumentation towards custom made, precision machinery that he calls Drone Machines, Dub Machines and now his series of Masks. All aspects of the AUTHOR & PUNISHER sound begin with physical movement, limbs struggling in unison to coordinate a wall of electronic rhythm and oscillation, ultimately conditioned by an organic and loose quality absent of sequencing and plastic perfection. 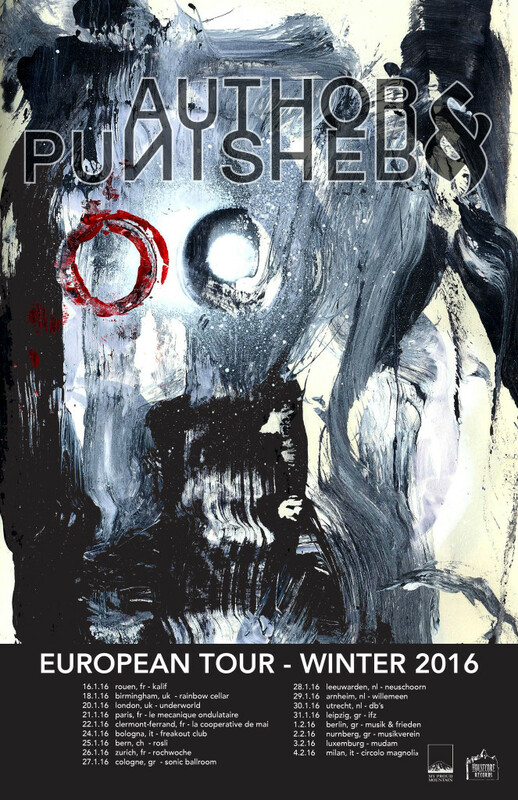 AUTHOR & PUNISHERperformances are a real amalgamation between man and mechanisms. They are direct, physical, heavy experiences that have amassed praise and intrigue from a wide array of audiences.